A father who had his three daughters taken from him and placed with a Muslim foster family by Swedish authorities, took his daughters back and fled to Poland where he’s now been granted refugee status. 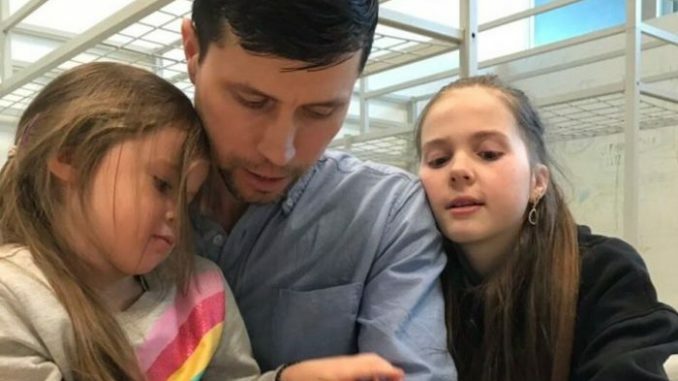 After Swedish social services attempted to place Denis Lisov’s three children in a Muslim foster family, the Russian father took his daughters and fled Sweden. Sputnikreports: Denis Lisov came to Sweden seven years ago. In 2017, his wife fell ill, whereupon social services decided to take away his children on the grounds that he had no full employment and was therefore unable to take care of them. Instead, they were placed in a Muslim Lebanese family. Lisov’s family formally retained the custody of the children, but only had the right to see them six hours a week, the Swedish news outlet Samhällsnytt reported. “3 Russian girls were to be illegally taken away from their father by Swedish officials on Polish soil”, lawyer Jerzy Kwasniewski tweted. “Poland is a beautiful country. It is blossoming in my eyes, because here can finally be with Dad”, Sofia Lisova, Denis’s eldest daughter said after the court’s verdict, as quoted by Artur Stelmasiak, the editor of the Catholic weekly Niedziela. “The court has decided that the children stay with their father. Well done the police and the border police”, Polish Interior Minister Joachim Brudzinski tweeted. “The court also decided that the father had to stay in Poland until his refugee status was granted,” Samnytt reported.